This one is too cool and I’m eager to see who’s gonna win it: Malakye, the web site dedicated to Boardsport Human Resources has posted 2 positions for Transworld Skateboarding: Art Director and managing Editor. If you think you have what it takes, go to Bonnier. These are the job details for the Managing Editor position. 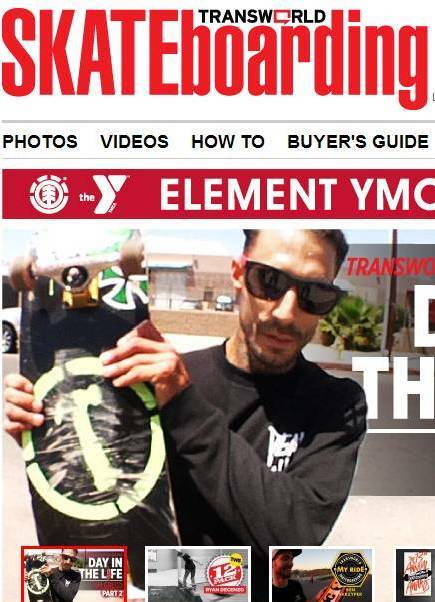 Good managing editors are leaders and organizers, and this person will need to be an advocate for TransWorld SKATEboarding, a spokesperson for the vision of the magazine, an able manager of professional relationships, and most importantly, he/she should do these things with a positive attitude. We're looking for someone who loves skateboarding, who keeps up with current trends and news in the skate community, who can conceive of and execute on great ideas, and who is willing to hop in the van for a skate trip from time to time. Opportunities for travel will occasionally arise, though running the daily business of making a magazine will be the managing editor's priority.